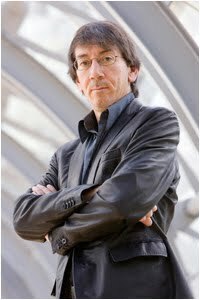 If you’re a fan of simulation gaming, you have recall the name Will Wright. Starting with the groundbreaking “Sim City” in 1989, Wright created a number of successful simulation games, such as the “Sims” series and “Spore.” He now has a new addition to his impressive resume: a member of Linden Labs’ Board of Directors. A look at the Linden Lab site revealed his name and a biography. He was listed as “CEO of the Stupid Fun Club,” which suggests a tone of levity on his joining in. Taking a look at the Stupid Fun Club’s website was a manifesto stating a goal of helping human beings better unify with their technology, sometimes using tounge-in-cheek phrases. Second Life Newser was contacted by Fuzzball Ortega of Steelhead, whom found the information on New World Notes, Hamlet rightly calling it a major coup, the creator of “the Simulation Game Genere” now joining Second Life. The lycan sherrif lightheartedly chided us, joking about the Newser not being the first this time to report breaking news. The addition of Wright to Linden Labs shouldn’t be too big a surprise, considering Linden Lab’s CEO Rod Humble’s own background in gaming. Still, bringing in such a prestigious figure to Second Life, it can only be considered very good news for the future for the Grid. Image from Stupid Fun Club. This is good news indeed! And if he can get the prices of tier down so that more people can play, then guess what -- more people will play!